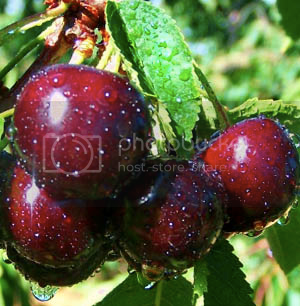 When I was growing up, one of the places I enjoyed the most was the cherry tree in the backyard. I loved it there, especially during summer when the tree’s sweet, sun-warmed rubies become ripe. I would stay by the tree for hours, picking and eating its little red treats. I had competition, though. Whenever I wasn’t there, flocks of birds would perch all over the tree to devour its precious gems. When I was with my snack-giving friend, however, I’d chase all the winged thieves away. This year, Janina’s school, Victory Christian International School (VCIS) shifted to a new curriculum called PACEs. We had mixed feelings about this at the beginning since she’s never done this type of curriculum before. For half of the day, she will have to work in a cubicle of her own, set her goals, read the lessons on her own, answer the tests and check them on her own. The first few days were rough. But as soon as she got the hang of it, she found her own pace, and learned to work diligently with minimum assistance from her supervisor. We saw that she became more focused, self-motivated and driven. Change is not always comfortable. In fact, most of the time, it’s uncomfortable. We need to train our kids to adapt to change. We moms usually do the best we can to make things easy for our kids. Though that is not bad, there are times we need to let them experience the discomfort of change to prepare them for greater changes ahead with greater discomfort. I am grateful too for VCIS who partners with us in training our kids to love our God and honor Him in everything they do. There was quite a handful of parents waiting for their kid’s dismissal. Some were on the bench, others were talking in groups, and I was standing by myself, waiting and wondering how Nathan’s first day in highschool went. I thought i would have it easy by now, after all the years of “first day in school.” But I guess a mom’s heart never changes. I was always the one who’s had to deal with separation anxiety. And I don’t think I will ever outgrow it.